Okay, so I didn’t finish any project. But two of them are getting close. 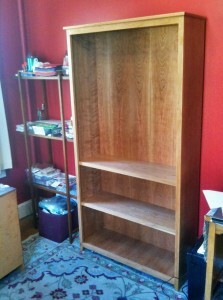 I had finished spraying the finish on the bookshelf case last night. Today we moved it into the study. Two of the four shelves are finished as well. 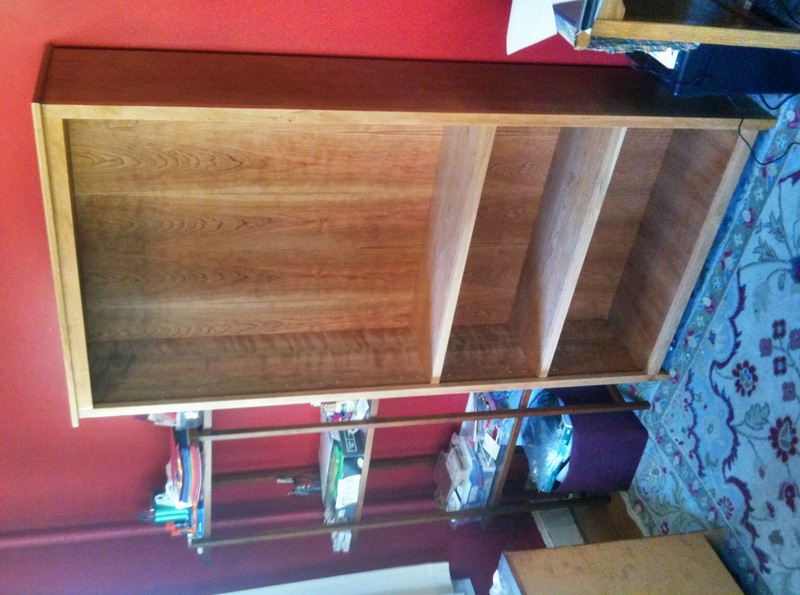 The other two shelves are in the workshop – built, but they need to be finished. There just wasn’t room to do them at the same time as the carcase. How did the bookshelves turn out? Not too bad. There are places I could have made the joints tighter, but not a bad first try. Also, the adjustable shelf pins seem a little loose in the holes – I’m not sure why. I can also find a place where I messed up cutting the rabbet for the back. However that mistake will be hidden by books. I also can see where I didn’t do a perfect job with the router getting the face flush with the sides. But it is big, and will hold lots of books. 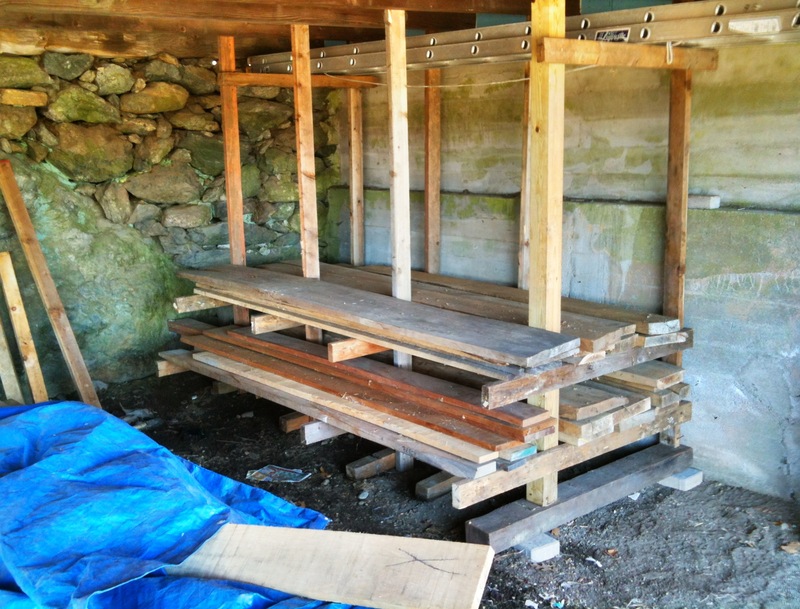 I also made some progress on the lumber rack. I don’t think it will hold all the lumber. I actually know it won’t hold all the lumber. I’m just hoping to clean up under the barn, and move the lumber from the second floor of the barn to under the barn. The wood was reclaimed from a barn that was torn down (a good find on craigslist) – I also got a couple of 4×6 beams at the same time. Not sure what I’ll do with those though. Just add to my lumber collection I guess. Now what to do this afternoon? Maybe a drive to northern CT to explore? 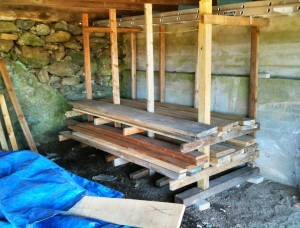 Or maybe more work on the lumber rack (to make sure I can’t move tomorrow after restacking too much lumber).